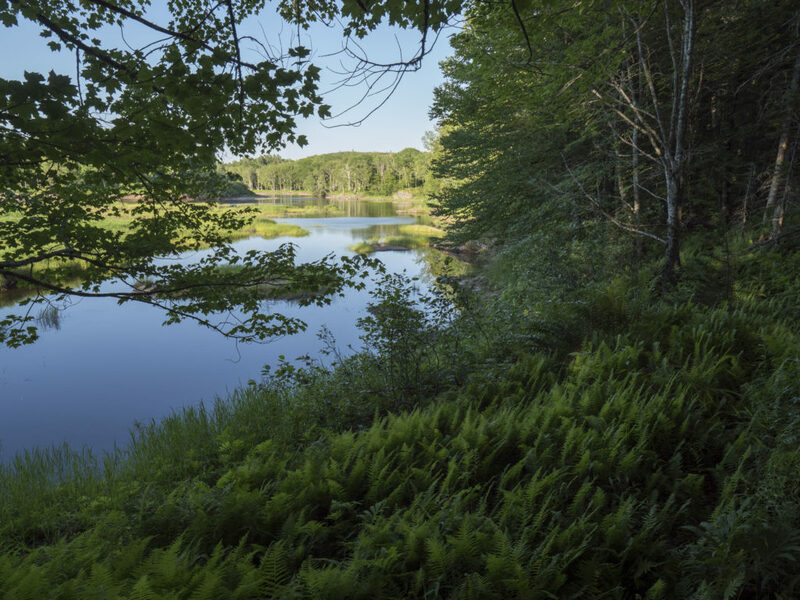 At a special public celebration in Sherbrooke, David and Faye Sobey entrusted their 30 acre property on the St. Mary’s River to the care of the Nova Scotia Nature Trust. The property provides critical habitat for several endangered species but is also steeped in memories for the Sobey family who have been visiting this part of the river for over 80 years. 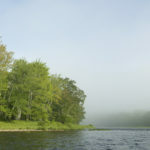 The property builds on our long-time conservation work on the St. Mary’s River, one of Nova Scotia’s most ecologically rich and important rivers. 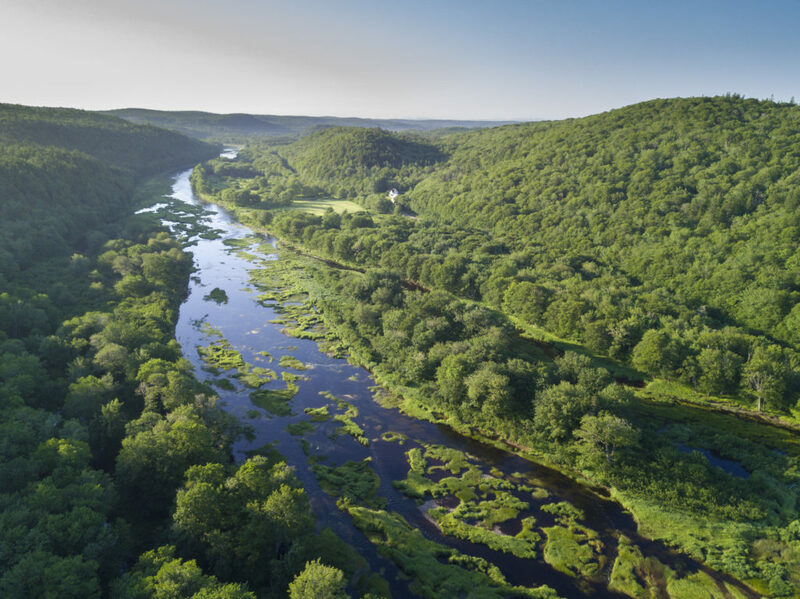 The new property brings our conservation network to nine protected areas encompassing 800 acres of important forests and wetlands on this river. 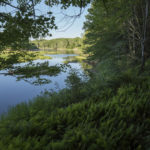 The Sobey property at Mitchells Pool, just north of Sherbrooke Village, includes 30 acres of beautiful floodplain forest, a rare ecosystem in Nova Scotia. Its large oaks, maples, and yellow birch provide cooling shade essential for the river’s aquatic life. The property’s stillwater, brooks, swamp and island provide important habitat for a diversity of wildlife, from ducks and forest birds to amphibians and reptiles including Wood Turtles, a species on Canada’s endangered species list. The Sobeys’ generous gift of land makes a significant conservation contribution. It protects some of the last intact floodplain forest in the province, and critical habitat for imperilled birds and turtles. Over the years, the Sobeys took note as friends and neighbours on the river took action to protect their lands through the Nature Trust, including late Sandy and Shirley Cameron. 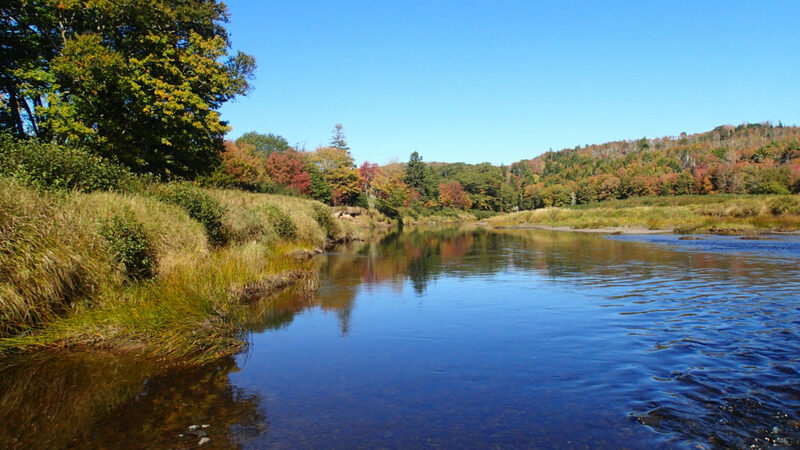 Wanting to ensure the Mitchell’s Pool lands were kept pristine, and recognising the importance of intact forests for the river’s health, the Sobeys decided donate their land to the Nature Trust. But their motivation went beyond conservation. Like so many Nova Scotians, the Sobeys have a deep connection to the land, steeped in precious family memories. David Sobey began visiting the river with his family as a young boy and the river grew to be a significant part of his life. While the Nature Trust’s work is based on and driven by conservation science, the real magic comes from the people we work with and their connection to these special places. It has been a joy to work with Mr. Sobey to preserve this treasured place, so close to his heart. What a wonderful contribution David and Faye Sobey have made to protecting Nova Scotia’s natural legacy and the legacy of the St. Mary’s River. They have preserved a special place where future generations can come to enjoy and experience that same wonder that captured David Sobey’s heart when he was just a boy. 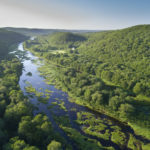 The river has a rich human history, once renowned as an Atlantic Salmon angling river, and is loved by locals and visitors alike as a scenic recreational and wilderness treasure. 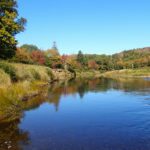 The local community has been actively working for years to restore and protect the watershed and its fish populations through the St. Mary’s River Association, and welcomed news of a new protected area on the river. Our conservation work on the St. Mary’s River, and protecting Nova Scotia’s freshwater and endangered species legacy, is generously supported by many individuals and organisations. Major supporters include the Nova Scotia Crown Share Land Legacy Trust, the David and Faye Sobey Foundation, Environment and Climate Change Canada and the Marguerite Hubbard Charitable Foundation.